Are your wisdom teeth causing you pain and discomfort? Wisdom teeth removal is a common procedure to eliminate the pain and potential problems caused by wisdom tooth development. If left in place, difficult wisdom teeth can cause severe pain, infections and serious damage to the surrounding jawbone and teeth. You may experience pain or swelling while your wisdom teeth grow in, or you may have no symptoms at all, even though your other teeth may be at risk of damage. This is why it is so important to have a wisdom tooth assessment performed by a dentist. Why Have a Wisdom Tooth Removed? Wisdom teeth can cause serious issues and severe pain. If a problem is detected with the development of your wisdom tooth, it is advised that you have it removed as soon as possible. Below are the most common reasons for having your wisdom teeth removed. If your wisdom tooth is impacted, saliva, bacteria and food can accumulate around it, causing decay to the wisdom tooth or the tooth beside it. This often leads to a painful toothache. You may find it difficult to reach your wisdom teeth with your toothbrush or floss. If your tooth is partially erupted through the gum, food particles and bacteria can accumulate beneath the gum, resulting in a local infection. This can lead to pain, swelling and bad breath. You may even find it difficult to chew or open your mouth fully. This infection can spread to the cheek and neck. 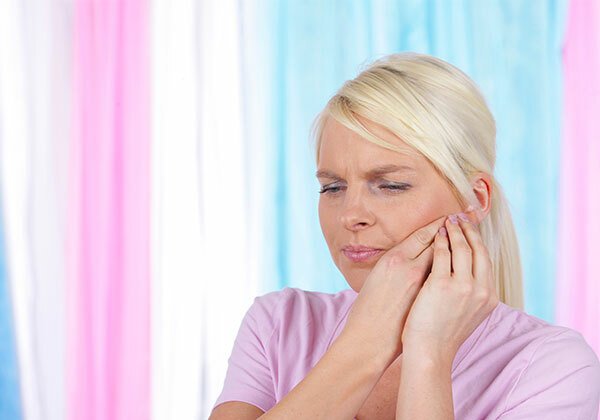 When a wisdom tooth develops, it can cause a lot of pressure against the other teeth causing pain, and can even lead to erosion of the other teeth. If you have received orthodontic treatment to straighten your teeth, your wisdom teeth can compromise the results by moving the teeth out of place. A cyst (fluid-filled sac) can form from the tissue surrounding an impacted wisdom tooth. This can lead to bone destruction, movement or decay of nearby teeth. The removal of the tooth and cyst is required to avoid further bone loss and reducing the risk of tumours developing inside these cysts. Do I Need to Get My Wisdom Teeth Out? Depending on the size of your jaw and how your wisdom teeth develop, you may not experience any issues with your wisdom teeth. The best way to determine if you do require wisdom teeth removal is to have an assessment by a dentist at Purity Dental. It is important that you discuss the wisdom tooth removal procedure, risks, possible complications and outcomes with the dentist. Depending on the size, shape and position of your wisdom tooth, removal can range from being a simple extraction to a more complex process. In the case of a simple extraction, you can generally expect little swelling, bruising and bleeding. More complex extractions will often result in more severe bruising, swelling and bleeding. These side effects can be minimised and managed with help from your dentist. The procedure may be performed by the dentist at Purity Dental or you may be referred to a specialist depending on your situation. Can I get my wisdom teeth taken out in the chair at Purity Dental? A lot of our patients choose to get their wisdom teeth taken out in chair, and also do it under oral sedation so they’re more relaxed throughout the procedure. For most patients, we are local and convenient which makes it easy to get home, and attending review appointments. At Purity Dental we offer wisdom teeth extraction under local anesthetic with minimal pain. Our treatments are provided in a comfortable and relaxed environment, call our friendly team today!